It’s too easy to dismiss Sleeping Dogs as “Grand Theft Auto set in Hong Kong”, though the similarities are certainly there. Both are open world adventures set in a world of crime, but this offering from Square Enix is strong enough to stand out on its own. The game places you in the role of Wei Shen, an undercover cop in Hong Kong who is tasked with infiltrating the infamous Triads gang to take them down from the inside. As the game progresses, the number of crime and mob story clichés increase, but the end result is still satisfying. It’s a well-told story, especially when compared to other like-minded video games, and it is engrossing despite its reliance on familiar tropes. Since Wei is a highly-trained officer, he has an impressive array of skills at his disposal. Not only does he know how to handle a gun (of which there are many), but he is an expert in hand-to-hand combat. 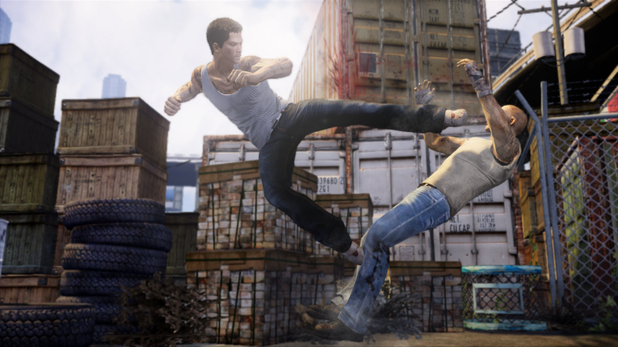 The fighting system is one area where Sleeping Dogs really shines — it’s very similar to Rocksteady’s Batman games, and it is easy to pick up and play. As Wei works through the story and completes different side missions, more fighting combos are unlocked, offering a surprisingly deep system. Wei can also use his police abilities at various points, and these include hacking security cameras, lockpicking, and tracing cell phones. He is a man of many talents, and this leads to a diverse group of missions that send him all over the streets of Hong Kong. While working undercover, Wei can perform work for the Triads while also sneaking off to help on police cases. There are dozens of random side quests scattered throughout, some of which include helping pedestrians with small tasks, street racing, or even performing karaoke. Quite simply, there is a lot to do in the game, with no shortage of things to discover. 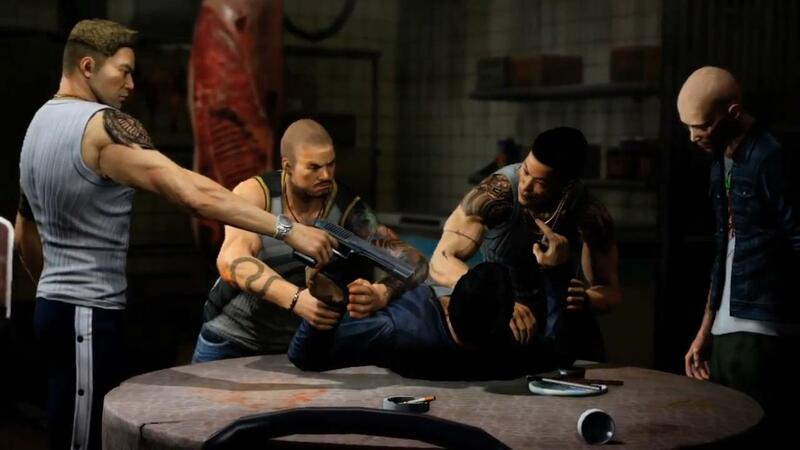 One gameplay tweak that Sleeping Dogs offers over other sandbox titles is its increased amount of checkpoints. No longer do you need to replay an entire mission if you die — there are checkpoints provided after every major event. Unfortunately, while this sounds great in theory, it’s both a blessing and a curse. It’s a relief to not have to drive halfway across the city just to restart a mission, but having so many checkpoints also lowers the difficulty quite a bit. During my 15+ hours with the game, I was rarely ever challenged. Once I got the hang of the countering system within combat, I was able to breeze through most of the missions, with nary a restart necessary. It’s a bit disappointing that the game is so easy. On the flip side, one area that Sleeping Dogs absolutely nails is its presentation. A great amount of detail went into building the in-game Hong Kong, and the story is given the full Hollywood treatment, even bringing in big names for voice work, including Tom Wilkinson, Emma Stone and Lucy Liu. Perhaps most impressive is the in-game soundtrack. The score, composed by Jeff Tymoschuk (Nightfire, Everything or Nothing), is fantastic, but the radio stations are some of the best I have found in any game, period. Music buffs will love that there are stations devoted to individual record labels, including Daptone (Budos Band, Charles Bradley, Sharon Jones & the Dap-Kings), Ninja Tune (Bonobo, Emika, Lorn) and Warp (Bibio, Flying Lotus, !!!). It’s a shame that Sleeping Dogs got a bit lost in the summer of gaming, but it is a great sandbox title that deserves a good, long look. For fans of open world games, this is a must play, and it will likely be a fixture on my “best of” year-end list. Heard good stories about this one and I’ll eventually get it when the price has dropped. I’m a sucker for sandbox games, really love them. If you dig sandbox games, I bet you’ll love this. There should be some pretty good sales in the next couple months, too. I picked mine up for $25 on Amazon. I know exactly what you mean (had to pry myself away from Skyrim as well). There are so many sandbox games out there right now that it really takes something different to make one stand out. 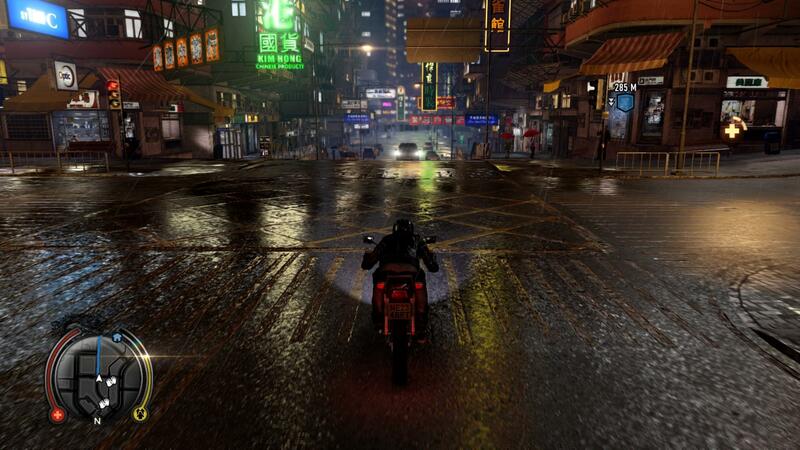 Being able to drive around in Hong Kong alone is worth it in Sleeping Dogs. Hope you enjoy it as much as I did. Played a good few hours of this and really enjoying it. Easy to get caught up in the side-missions (face meter / girlfriends / drug busts etc) but if you stick to the missions it’s good play. Like you say, gets a bit easy after a while, but tons to keep you going. Particularly love the long shoot-out missions at the Wedding / Hospital etc, can really get caught up in them. Yep, there really is a lot to do. I focused on the main story while doing side missions here and there, and then came back to clean up loose ends afterward. I was shocked to see that I still had dozens of face quests available, among other things. Plenty of depth for those willing to indulge. It is a bit ridiculous how one minute you’re knifing people, then slamming heads in car doors. Then the next level has karaoke as a MANDATORY REQUIREMENT!!! Haha yeah, and it always cracked me up when people on the side of the road would yell “HEY WEI!” to try to get you to pull over to run a simple errand for them. And no matter how loud the music was or what was happening, they came in crystal clear. Finished this at the weekend, fantastic final few levels from the garage brawl onwards – and the final – 30 minute level is EPIC!!! Agree that it’s disappointing that you can’t change the difficulty, because once you know how to fight properly, it gets a but assassins creed-y – BLOCKBLOCKBLOCKREVERSEBLOCKREVERSE. Still, well worth the £20 I spent on it. This has been one of my games of the year so far – I thought it lacked a little polish at times but overall it’s a great game. The voice acting is superb as you said. Yep, they really went all-out on the voice acting. Glad to hear we agree on this one! 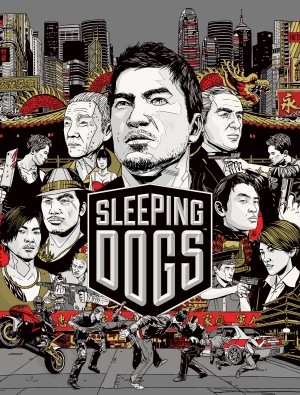 I absolutely loved Sleeping Dogs. It’s quite high on my GOTY list right now. Given its history and everything the developers went through with it, I’m glad it turned out well. Activision lost big time on this. Yeah, I bet Activision are kicking themselves about losing this now. It’s not often that games with this sort of history turn out to be even decent overall, but this is pretty damn good.